Nuts and seeds are full of nutrients and are a great way of adding substance to a vegetarian or vegan meal. They can be sprinkled on a salad, used to make sauces or cheeses and have an important role in raw desserts. 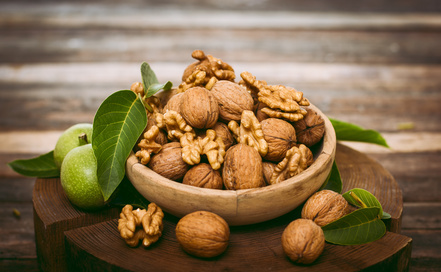 With so much versatility and goodness, nuts and seeds also contain substances that interfere with the body’s ability to digest them and absorption of nutrients. Think about it. The nuts and seeds are the potential offspring of the mother plant and in order for the plants to continue to reproduce, these nuts and seeds need to be protected. We are not the only creatures that consume nuts and seeds. So Mother Nature has ‘coated’ the nuts and seeds in phytic acid and enzyme inhibitors. What are these substance? Well the phytic acid helps protect the nuts and seeds until there are proper growing conditions present which allows germinating to occur. To ensure the nuts and seeds do not sprout before the conditions are suitable, the enzyme inhibitors prevent this from happening. However the enzyme inhibitors and phytic acid can cause problems in the digestive tract by either causing irritation or binding with minerals to prevent their absorption. Soaking nuts and seeds, with a little salt, my preference is celtic sea salt, helps reduce these substance. If you then want crunchy nuts and seeds to snack on or use, then drying at a low temperature will achieve this. I dehydrate my nuts and seeds over night for about 12 – 16 hours at 46degrees in my dehydrator. This also means the nuts and seeds are still classed as raw as they have not been heated over 46 degrees. The time for soaking, varies depending on the nut or seed. Cashews are 4-6 hours, while almonds are 12 hours. I tend to soak everything over night for the sake of simplicity. Place nuts or seeds in a glass jar and cover with the water. Add the salt and ensure the slat dissolves. Leave covered on the kitchen bench for at least 6 hours. I leave mine overnight. Drain and rinse the nuts or seeds under fresh running water. Let cool and then store i an air tight container. What is your favourite nut or seed?